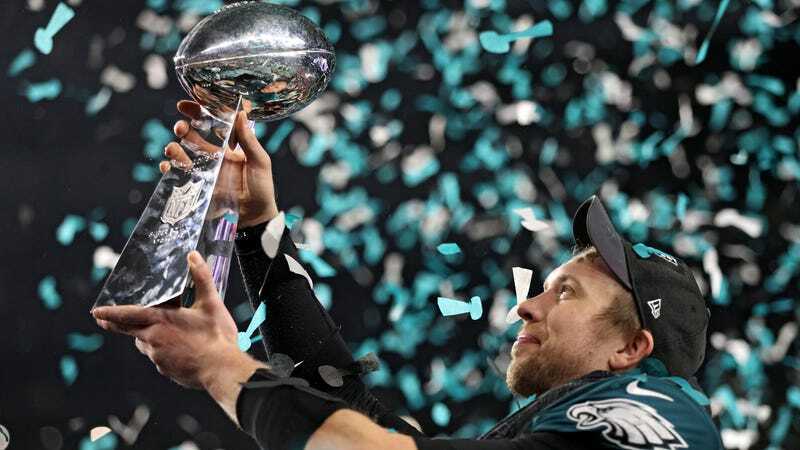 Fans of the Philadelphia Eagles had a great night this past Sunday evening, as the team defeated the New England Patriots to become Super Bowl champions for the first time ever. NBC and the NFL more generally, however, might be a bit disappointed by the outcome. Despite a game roundly agreed to be an exciting affair that saw underdogs triumph over the cool kids, Deadline reports Super Bowl LII is the lowest-rated installment of the football event since 2010, when the New Orleans Saints beat the Indianapolis Colts. Despite increased streaming options helping lure viewers tuning in from a variety of platforms, some of the key metrics determining the overall ratings show a marked dip, which is in keeping with the ratings for this year’s NFL season overall. Though it’s not mentioned by name, we’re going to go ahead and assume the drop-off is largely attributable to the exciting lineup of Puppy Bowl XIV: Ruff Vs. Fluff. In particular, Mr. Wigglesworth’s performance was captivating stuff, well deserving of an MVP nod for the game. The highest ratings in recent years went to 2015's Patriots-Seahawks showdown, which saw 114 million viewers tune in. By comparison, last night’s game is looking to end up akin to the 2010 edition, which had an audience of 106.4 million. In other words, that’s still more than a hundred million people who saw the game, so let’s not buy NBC that “Deepest Sympathies” Hallmark card just yet.